The Peoples Democratic Partyâ€™s five House of Representatives members from Ekiti State have expressed confidence in the leadership of the Chief Gboyega Oguntuase-led Exco of the party. They, therefore, dissociated themselves from the Saturday meeting of some stakeholders, which installed Senate Minority Leader, Biodun Olujimi as state leader. 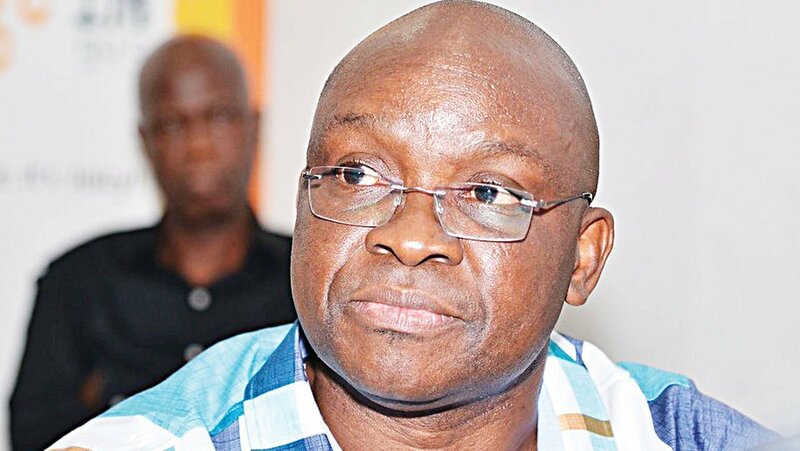 The House of Representatives members, Kehinde Agboola (Ekiti North I), Thaddeus Aina (Ekiti North II), Ayo Oladimeji (Ekiti Central I), Segun Adekola (Ekiti South I) and Akin Awodumila (Ekiti South II), in a joint statement on Sunday reiterated their loyalty to former Governor, Ayodele Fayose. â€œThere is no leadership vacuum in the PDP in Ekiti State, those desperate for political leadership should wait for their timeâ€, they said. â€œWhile we agree that individuals or groups have rights to hold meetings, we are miffed that Senator Olujimi was taking her selfish agenda of collapsing the party structures to the extreme. â€œWe were not consulted before the meeting was held and most of those who attended the meeting were those who worked against our party in the July 14 governorship election. â€œSome of them were even governorship candidates of other parties, and collectively, they could not get up to 1,000 votes in the election. â€œAlso, leaders like Chief Bola Olu-Oju who attended the meeting innocently have started dissociating themselves from its outcome and by Saturday, this week, a proper meeting of stakeholders will be held in the State. â€œWe therefore call on our party members and teeming supporters to disregard the meeting and its outcome, bearing in mind that it was a gathering of dissidentsâ€.